Kadora is the leader of the Azura’s and the nemesis of Syler, Aurelia, Finray and the entire human race. Kadora controls Mako Rane and Bhim Rane to make the plan of building zin extractors go smoothly. 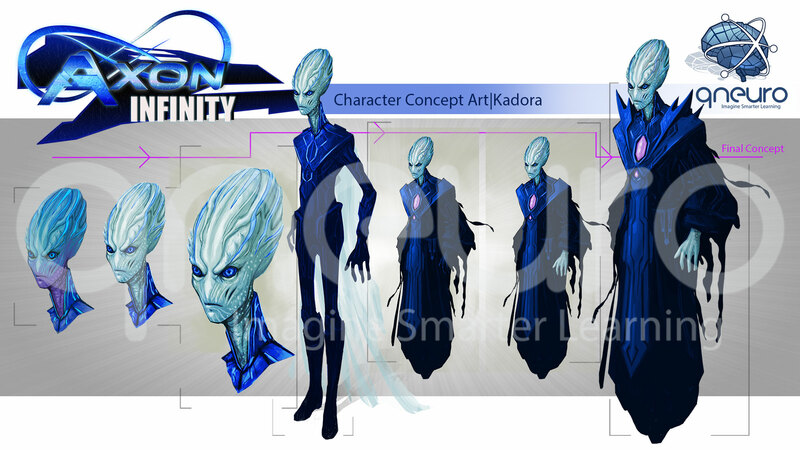 Kadora intends to devoid Earth of all it’s zin, with zin extractors which destroy life and also destroys the planet. Will Kadora be met with strong opposition from Syler, Aurelia and Finray? Will Mako Rane also join the fight for humanity’s survival or will he fight for Kadora and the Azura’s? Find out in Axon Infinity: Genesis, part of the Axon Infinity universe developed by Qneuro.